I am developing a very simple WP theme and I wonder how could I get this functioning. The main goal is to save the value of the selected checkboxes and retreive it in the front-end footer to load the links of the pages. I have been looking for this in many blogs and WP Codex but I can’t get it to work. Either the information is outdated or not quite specific. As you can see, I am using an OOP approach and it’s been working very well, but it shouldn’t have anything to do with the WP core behaviour. 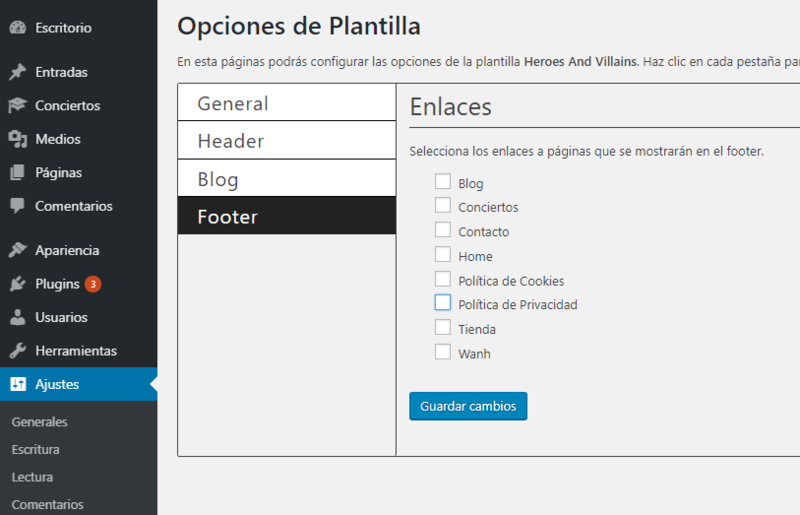 Selecciona los enlaces a páginas que se mostrarán en el footer. Can you guys help me out? I would be very much grateful! Thanks in advance.